It's time to celebrate! Get grads and guests to the party with the Bright Ideas Graduation Invitation. This trendy invitation features images of life's big events in red and white on a black background. This template has room for your own custom image. 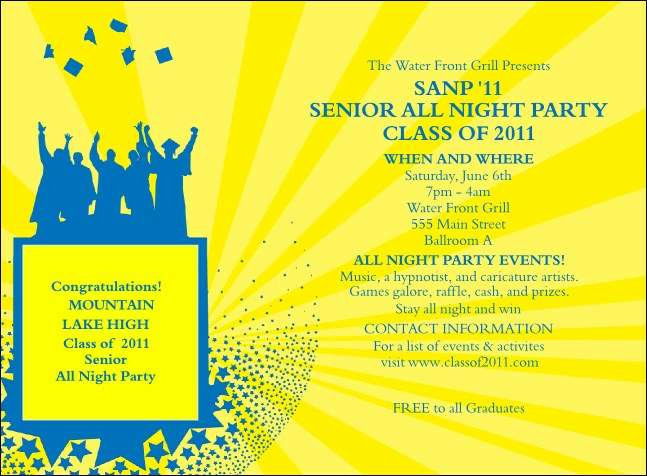 Looking for other great graduation event ideas? Stick with TicketPrinting.com.